Renewable energy grants for Irish farms are now available under the TAMS on-farm investment scheme. This new measure makes €10m worth of grants available for energy efficiencies and renewable energy technologies. Solar energy is clean, affordable and a sustainable way for anyone to generate electricity. You can guarantee your business major savings by investing in solar power for your farm. Renewable energy grants for Irish farms will be available from the next tranche of TAMS which is opening 5th April. TAMS II provides grant aid for a number of investments specifically aimed at improving energy efficiency in the farming sector. Solar PV Installation on farms – to extend current availability under the scheme to all sectors. Grant aid in this initial pilot phase of up to €9,300 or up to 60% of the overall cost will be available to fund a 6kWp solar system. LED Lighting – all lighting funded under the scheme will be required to be LED lighting. LED lighting uses a fraction of the electricity consumed by conventional lighting. The current specifications for TAMS II include lighting in all new farm structures. In future, only LED lighting will now be grant aided. Solar power harnesses the energy provided by the sun by using solar technology. When you install solar panel energy, the solar panel kits will work on sunlight rather than heat from the sun. Even during cloudy days, the pv solar panels will gather enough energy to power your business. A PV panel system is the most economic, simple and clean renewable energy technology available. Solar panels can be easily installed into both new and existing buildings. A solar PV system size for a dairy farm of approximately 5.5kWp combined with a 4.5kWh of battery storage capacity. Grant aid in this initial pilot phase will be to fund a 6kWp solar system. 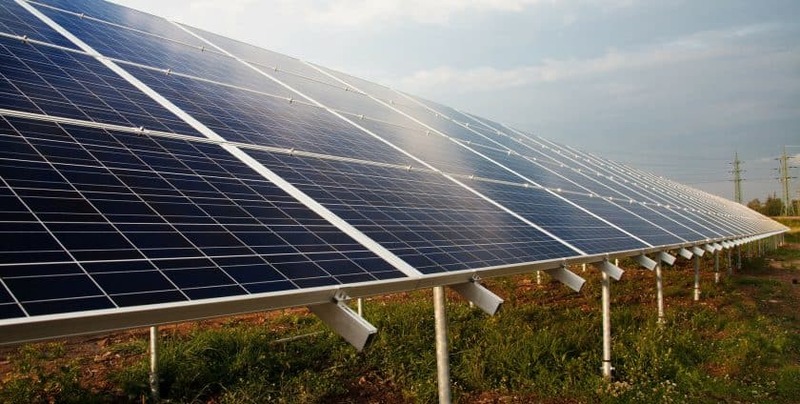 Costs are based on the cost of installation of a 6kWp solar system; this includes a battery which is necessary to capture the energy output thereby making it economically viable. At this maximum size the grant provided at the 40% rate would be €6,2000 and at 60% would be €9,300. At Enerpower we have been very successful in securing grant funding. We understand the renewable energy grant for Irish farms can assist you significantly and reduce return on your investment. We manage the whole process so that you can enjoy the savings. If you would like to find out about the renewable energy grants for Irish farms and see how you can generate renewable energy for your business, call us today on 051 364 054.